We now offer a Motor and Mid Plate kit for 4.6 and 5.4 Modular motors in any 79-04 Mustangs. 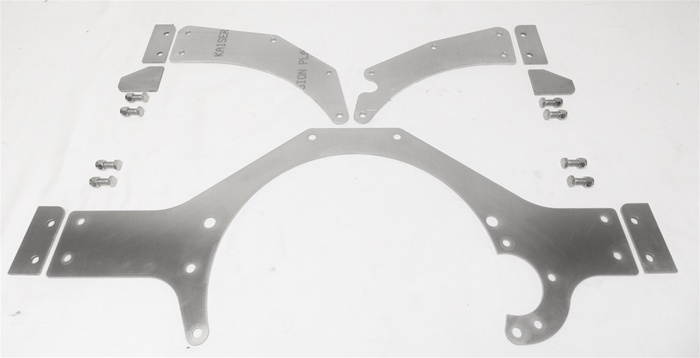 Kits come with the 1/4" motor plate and 1/8" mid plate constructed out of 6061 Aluminum, all the grade 8 mounting hardware, and 3/16" steel mounting tabs to weld to the frame. Made in house on our waterjet proudly in Detroit! PLEASE SPECIFY 4.6 OR 5.4 ENGINE!